SQL injection is a code injection technique, which is used to attack on database driven applications. In this malicious SQL statements are inserted into an database query. 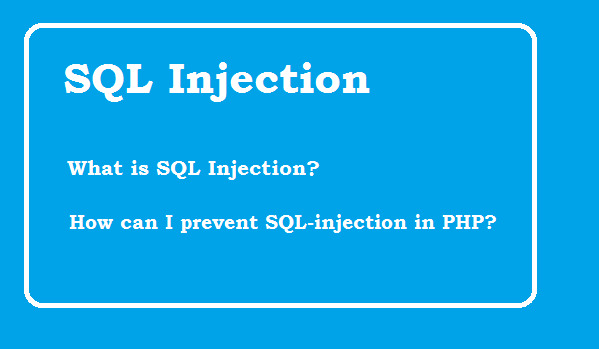 Question: How attackers attack on website with SQL Injection? With use SQL Injection, attacker/hackers attack on web application's table/database. For Example, Lets have a Web login-form where visitor enter the username and password to login in system. What can attackers do with SQL Injection? Below are couples of ways an attacker can harm our website. After submit the form, these special character mix the query and break the query, due to this an page will be crash. In this case attacker may able to see the queryies printed in browser(If debug mode is not off). They may use combination of special-characters due to which they may able to login in our system without having valid login. We must filter data entered by user before saving in database OR using in SQL query. If you are able to escaping the string, then you are able to prevent your website from SQL attack.